The Economy 12-Strike book! Want a hybrid look and feel? 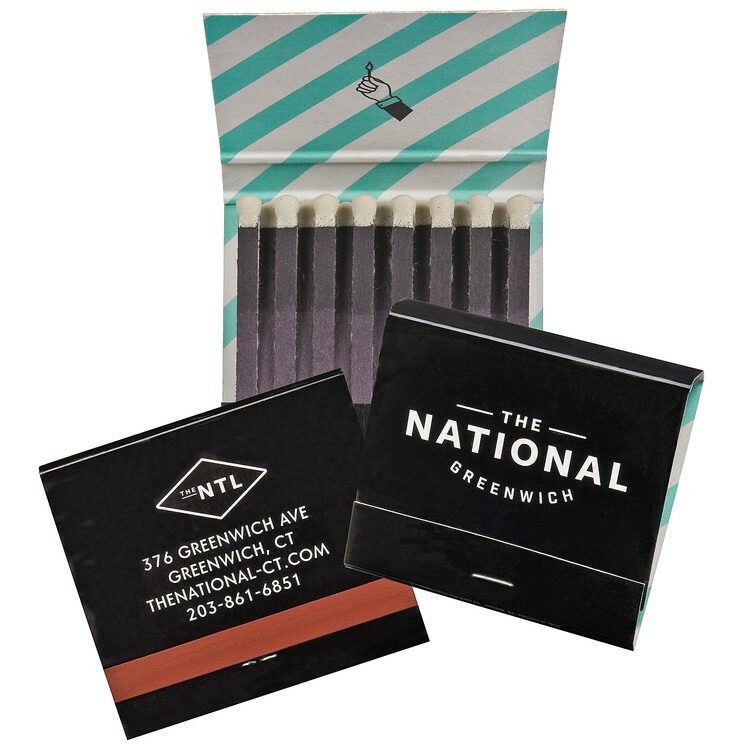 It's in between the two standard-sized 20- & 30-stem match books. Uniquely 1-3/4 inches wide these books come with 12 black stems and 1 of 17 stock match tip colors. A new touch for branding lounges, bars, restaurants, music venues, and more! "Base Price" includes 1-color imprinting on entire outer cover (except striker). Economy 15-Strike book! Exactly the same advertising space as the standard 30-stem book (item# 2039). 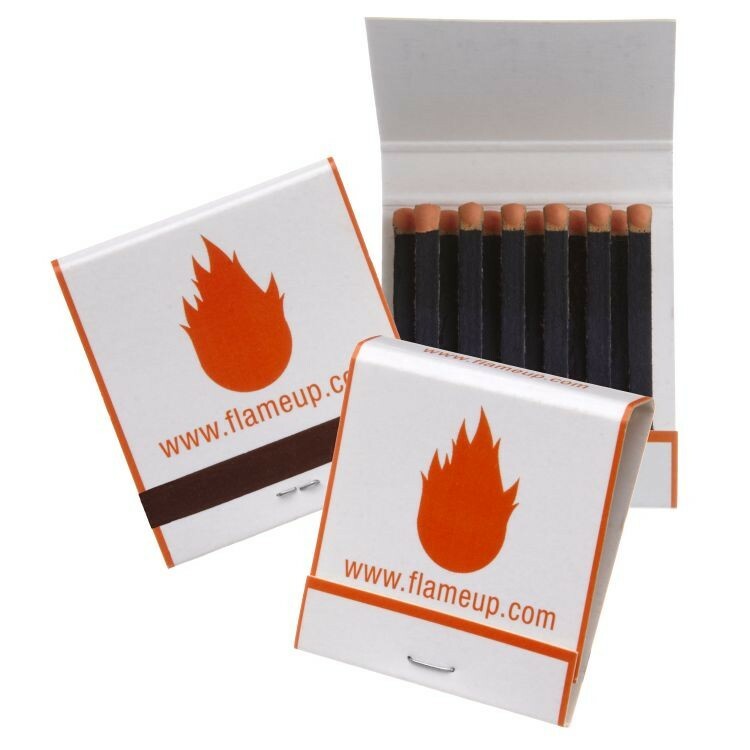 Each book comes with 15 black stems and 1 of 17 stock match tip colors. Perfect for lounges, bars, restaurants, steak houses, and more. Classic branding at its best! "Base Price" includes 1-color imprinting on entire outer cover (except striker). Economy 10-Strike book! Exactly the same advertising space as the regular 20-stem book (item# 2038). Each book comes with black stems and 1 of 17 stock match tip colors. Perfect for lounges, bars, restaurants, steak houses, and more. 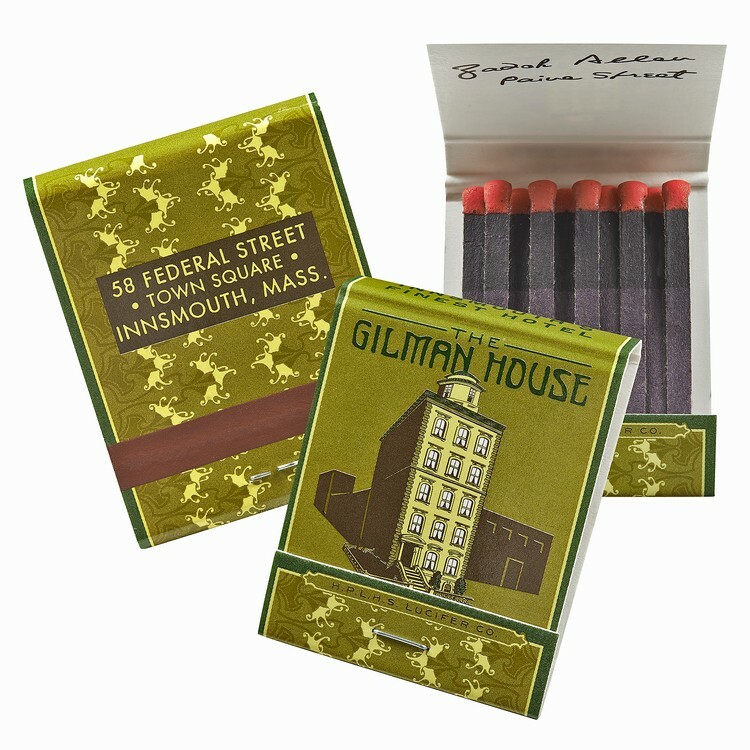 Nothing says vintage class like this pocket-sized book match. "Base Price" includes 1-color imprinting on entire outer cover (except striker).